The inaugural Barfoot & Thompson Home and Garden Tour, held on Saturday November 22, 2014, saw a hand-picked selection of stately homes in some of Auckland’s most sought-after addresses in Mt Eden, Remuera and Epsom, NZ, open their doors for an exclusive sneak peek into properties the public are otherwise left to ponder what magnificence lies behind the gates. The invitation to view six elite homes and ten stunning gardens attracted more than 600 people. 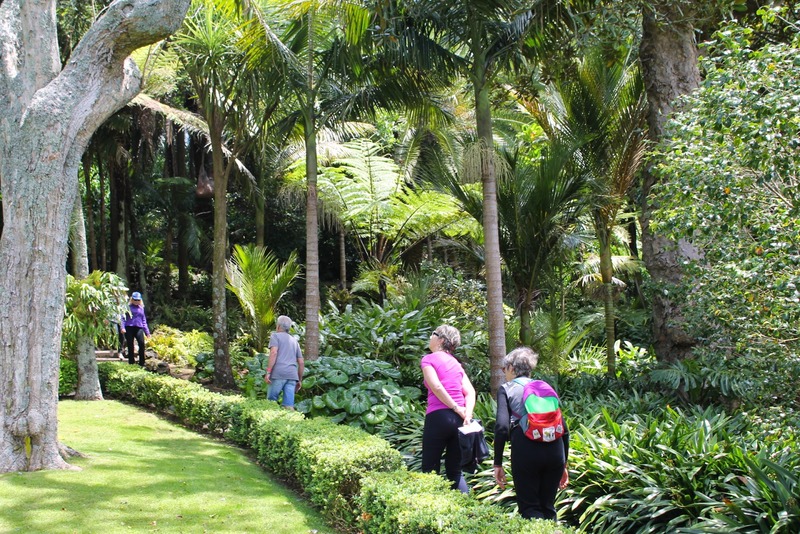 Masterful sculptures, awe-inspiring developed gardens and perfectly manicured lawns, to grand staircases, antiques and impressive collections were awed-upon by guests who basked in the sunshine for the self-driven tour. Sponsored by Barfoot & Thompson, and organised by the Rotary Club of Downtown Auckland, the event was not-for-profit with all proceeds going directly to the Starship Foundation and Rotary projects. The fundraising goals were exceeded, with $20,000 presented to Starship Children’s Hospital, which will enable two important pieces of breathing and resuscitation equipment to be purchased. The remaining funding raised (close to $15,000) will go towards Rotary Club of Downtown Auckland’s continued support of local community charities. Following the tour, renowned gardening icon Xanthe White hosted a VIP Garden After Party, a separate event at which more than 60 guests enjoyed complimentary drinks and nibbles, and partook in both silent and live auctions. Master auctioneer Tony Keegan took to the podium to transporting guests into a live home auction atmosphere. Items up for auction included a luxury weekend for two in a Quinovic Viaduct waterfront apartment, jewellery and books amongst other great items – all proceeds went towards the event’s charity partners. “Having exhibited before, myself, I know the amount of work that goes into something like the Barfoot & Thompson Home and Garden Tour. How lucky were we to be able to view these private gardens and the work of respected landscape designers and true gardener’s first-hand. It was so generous of the owners to open up their homes to the public. I’m sure there was a little something to catch each person’s imagination and ideas to borrow on the day, even for those of us with smaller gardens,” says Ms White. An event website (www.homegardentour.co.nz) was established to profile each of the properties on the tour.